le chaudron de vulcain – February 21 , 2019 . EN. La Réunion : Piton de la Fournaise , Mexico : Popocatepetl , Italy / Sicily : Etna , Costa Rica : Poas . Home / blog georges Vitton / February 21 , 2019 . EN. La Réunion : Piton de la Fournaise , Mexico : Popocatepetl , Italy / Sicily : Etna , Costa Rica : Poas . February 21 , 2019 . Activity Bulletin from Wednesday, February 20, 2019 to 11:00 (local time). 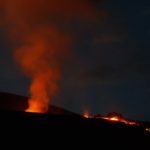 The resumption of eruptive activity started on February 19, 2019 at Piton de la Fournaise around 7:10 pm local time – after a sequence of over an hour of degassing – continues (Figure 1). After a drop in intensity, the eruptive tremor (indicator of the intensity of the eruption) is relatively stable since 06h local time (02h UTC). 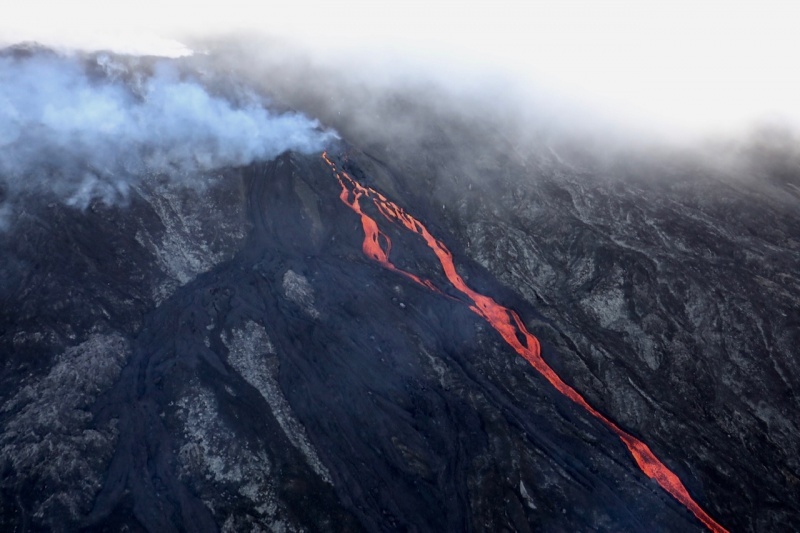 Following an aerial reconnaissance carried out today by an OVPF team, the new eruptive site was accurately located at an altitude of 1800m at the foot of Piton Madoré (June 2001, Figure 2). Only one eruptive fissure opened, and at 6:20 this morning only one fountain was active. The flow front was at 1300m altitude (Figure 3). Currently only this eruptive fissure is active. As with every eruption, the scientists of the volcanological observatory of Piton de la Fournaise go closer to the lava flows. 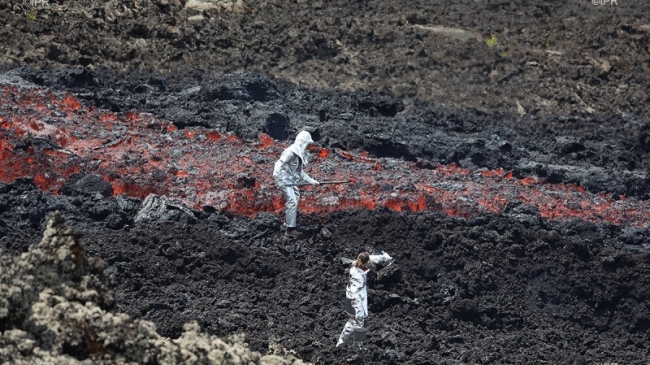 They take samples, determine the flow of the liquid fire, evaluate the temperature … the goal is to make the maximum of measurements to better analyze the eruption. 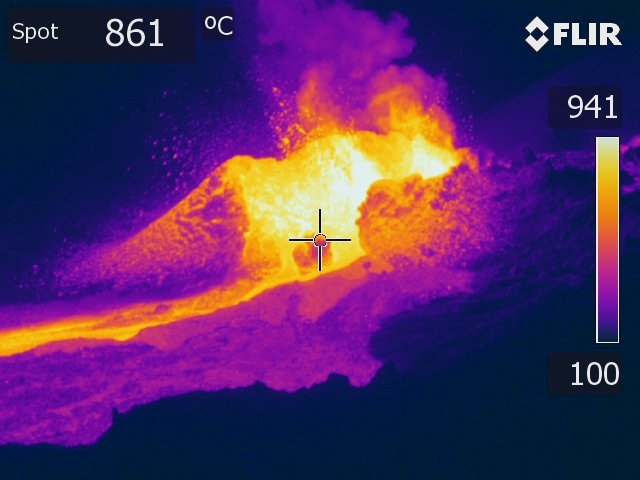 This Wednesday, February 20, 2019 are Aline Peltier, the director of the Volcanological Observatory of Piton de La Fournaise (OVPF), and Nicolas Villeneuve, volcanologist, who went on site. 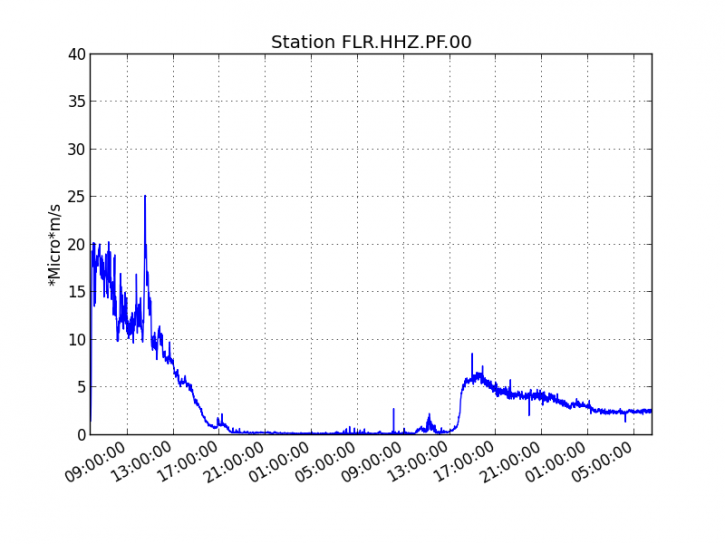 The surface flows estimated from the satellite data, via the MIROVA platform (University of Turin) and HOTVOLC (OPGC – University of Auvergne), remain low and are between 3 and 7 m3 / s.
Photos : OVPF , IP Réunion. 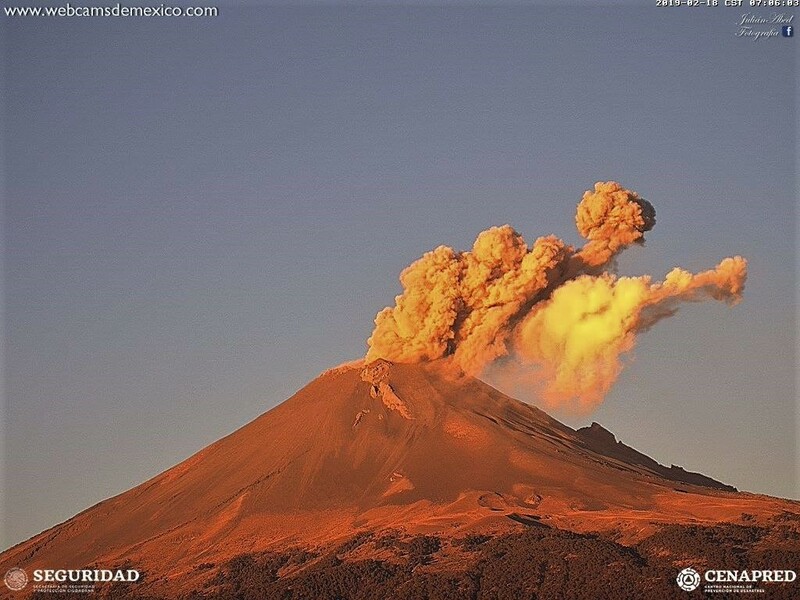 CENAPRED reported that each day during 13-19 February there were 20-140 steam-and-gas emissions from Popocatépetl, some of which contained ash. Seismicity began to increase at 21h00 on 14 February coincident with the onset of Strombolian activity. Incandescent material was ejected 1.5 km onto the flanks, and gas-and-ash plumes rose as high as 2 km above the carter rim and drifted SW. The phase lasted for about seven hours. Explosions were recorded at 15h28, 16h02, 18h24, and 19h35 on 14 February and at 04h09 on 15 February. Ashfall was reported in areas downwind including Tetela del Volcán (20 km SW), Zacualpan (31 km SW), Jonacatepec (43 km SW), Cuautla (43 km SW), Ocuituco (24 km SW), Yecapixtla (31 km SW), and in Tochimilco (16 km SSE). During 00h44-06h06 on 16 February Strombolian activity ejected incandescent material that fell back into the crater. Gas-and-ash plumes rose 1 km and drifted SE. A period of harmonic tremor began at 16h00, accompanied by emissions of water vapor and gas that rose 1.5 km. By 18h30 ejected incandescent fragments were visible and fell onto flanks 400 m from the crater. Plumes rose 2 km and drifted NNE. Seismicity decreased by 21h00 and material was no longer being ejected above the crater rim, though crater incandescence remained visible. There were at least 14 explosions detected on 17 February; the more significant events were recorded at 04h38, 04h57, 07h19, 08h21, and 09h56, generating plumes that rose 2 km and drifted NNE. Minor ashfall was reported in areas downwind including Tlaxco (85 km NE) and Xalostoc, Nativitas (40 km NE), Hueyotlipan (57 km NNE), Amaxac de Guerrero (60 km NE), Tepetitla de Lardizábal (37 km NE), Texoloc, and Tlaxcala (51 km NE). An explosion at 07h04 on 18 February produced a plume that rose 2 km and drifted NNE. An explosion was detected at 06h13 on 19 February. 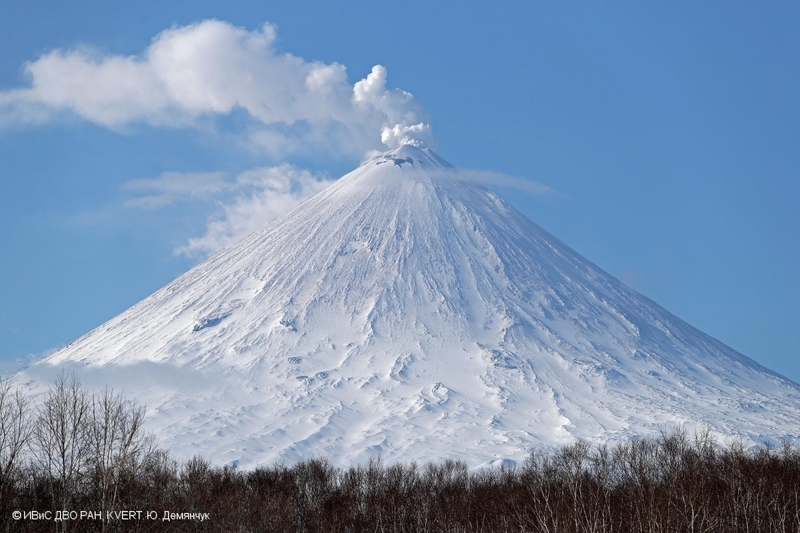 On 20 February CENAPRED noted growth of lava dome #82. The Alert Level remained at Yellow, Phase Two (middle level on a three-color scale). 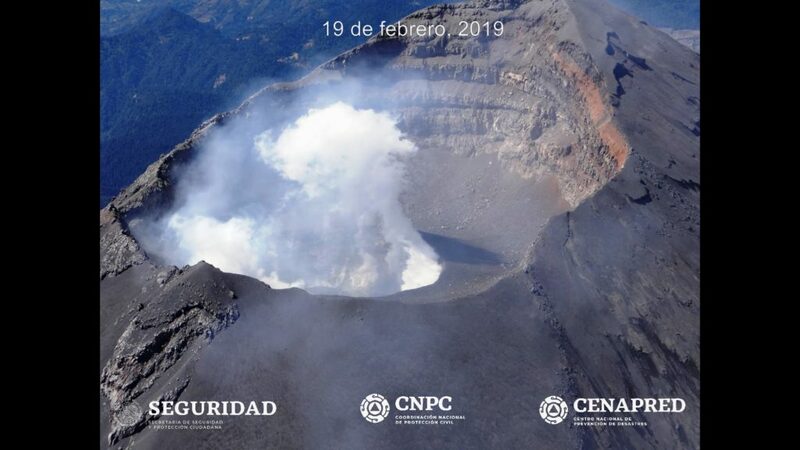 During the last 24 hours, thanks to the surveillance systems of the Popocatépetl volcano, 11 exhalations were identified accompanied by water vapor and gas, and two explosions at 02: 10h and 04: 07h. In addition, a volcano-tectonic earthquake occurred yesterday at 21:02, with a calculated magnitude of M1.9. Similarly, 1424 minutes of harmonic tremor of low to medium amplitude were recorded during this period. At the time of writing, the number of small trenches is conserved and gas emissions are continuous and are dispersed in a north-northeast direction. Source: Centre national de prévention de désastres (CENAPRED), GVP. Photos : Webcamdemexico , Cenapred. 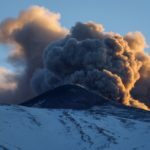 Etna growls and emits ashes: new eruption or routine activities? The images that circulate both on social media and in the traditional media show Etna an impressive plume of dark ash (see Figure 1 and video recorded by an INGV surveillance camera in Catania), sometimes even scenes of balconies and cars covered with the same ashes. All these messages could make us understand that the volcano is again erupting after the dramatic eruptive and seismic events of the end of December 2018. In fact, it is not exactly a new eruption, but a simple recovery persistent activity at the top. which characterizes the normal life of the volcano. 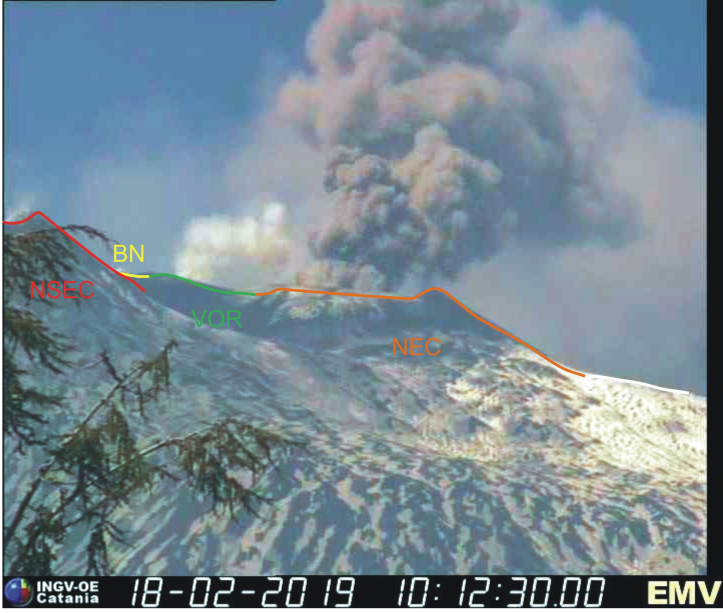 Figure 1 – Emission of ash from the Northeast Crater (NEC) on the morning of February 18, 2019, captured by the surveillance camera of the INGG-OE Catania, located in Milo. The colored lines indicate differently the topographic profiles observable from this position, of the different summit craters of Etna: NSEC = New Southeast Crater; BN = Bocca Nueva, VOR = Voragine. 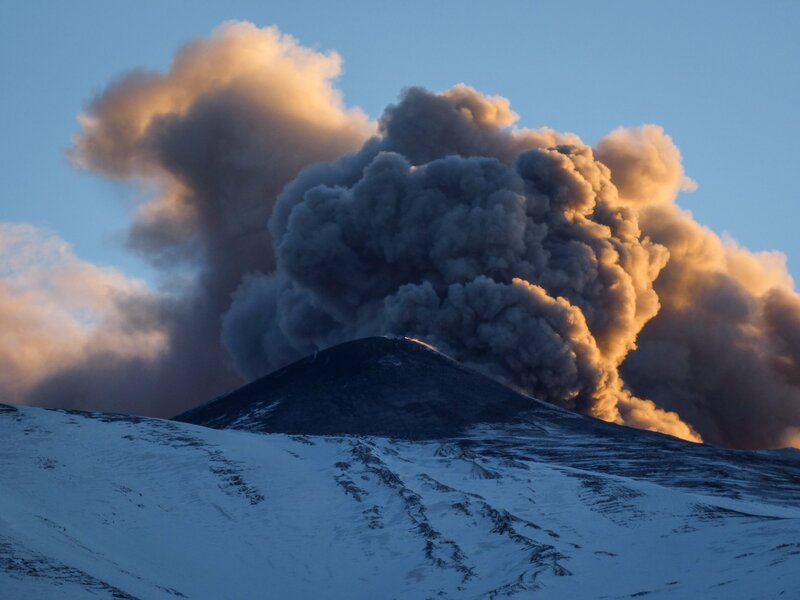 The eruption that occurred between 24 and 27 December 2018 originated in a fissure that opened on the upper flank of Etna, generating the lowest eruption mouth at 2400 meters. altitude, in the Valle del Bove. An eruption lasting only three days, very modest for both volumes of lava emitted (about 3 to 4 million cubic meters) and for the area covered by lava (less than one square kilometer), but accompanied by intense seismicity culminating in the December 26th earthquake (magnitude ML = 4.8), produced by the Flandaca Fault, causing extensive damage to homes along the south-east flank of the volcano. 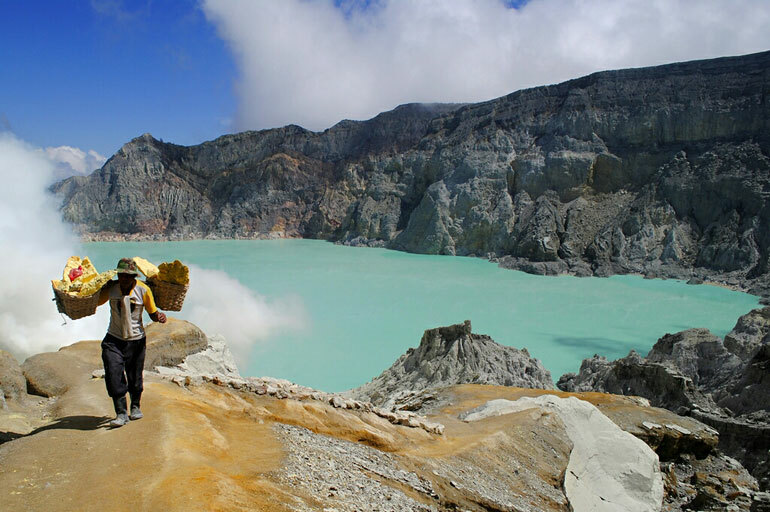 After the eruption stopped, seismic activity continued, although it gradually decreased. The last major earthquake, an ML magnitude event = 4.1, occurred on January 8, 2019 in the Pernicana Fault on the northeast side of Mount Etna. Since then seismic activity has been characterized by frequent but modest shocks, quite « usual » levels for Etna standards, even though the perception of the resident population may be very different and to be amplified after the events of December 2018. Figure 2 – Emission of ash from the North-East crater of Etna at dawn on February 19, 2019, seen from Tremestieri Etneo (20 km south of the summit of the volcano). Photo of Boris Behncke, INGV-OE. 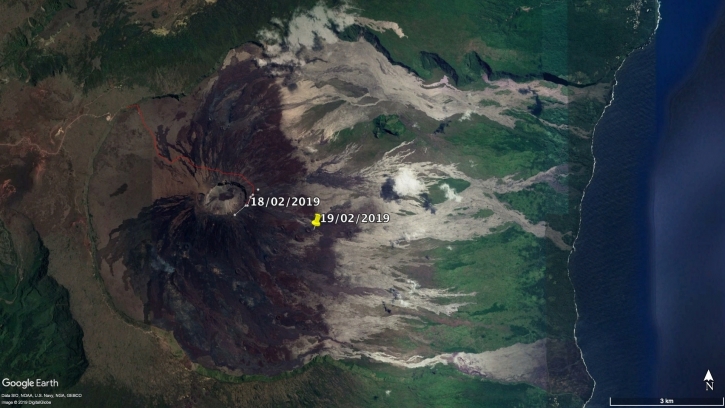 On the other hand, since the first days of January 2019, ash emissions have continued intermittently from two of the volcano’s higher craters: mainly from the Northeast crater (Figure 2) and more sporadically from the Bocca Nuova crater. 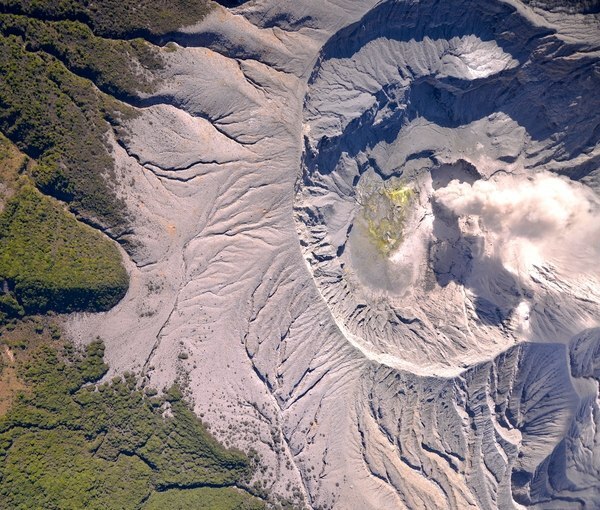 The INGV Osservatorio Etneo closely monitors this activity, with volcanological observations in the field, an analysis of seismicity and other geophysical parameters, as well as the study of rocks and products that have been emitted. The preliminary examination of the ashes fallen on the ground and taken at different times indicates that it is mainly « old » rock material, already present in the system of the central channels of the volcano. The fact that at present there does not seem to be any new magma rising to the surface is also confirmed by the relatively weak volcanic tremor amplitude, whose source is in a deeper position compared to the preceding weeks. the December eruption. However, gaseous plumes emitted during these weeks are often heavily laden with ash. 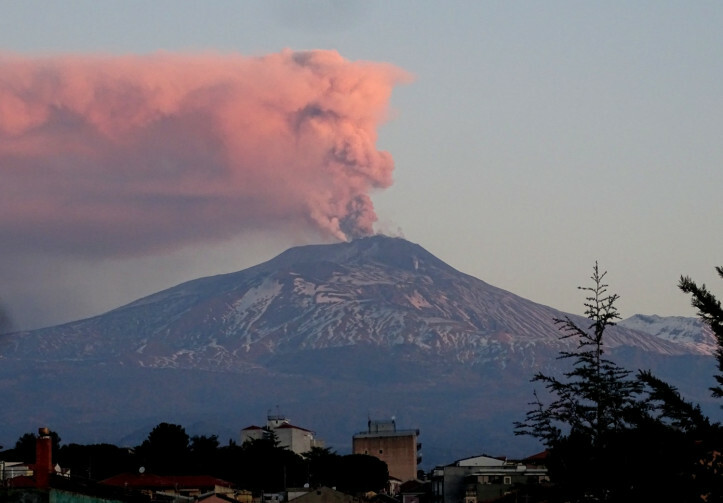 Therefore, in these cases, the aeronautical authorities are obliged to temporarily close the Catania Fontanarossa International Airport, which excludes certain airspace around Mount Etna. Article written by Boris Behncke and Marco Neri, using data obtained from the INGV monitoring networks. Photos : INGV , Boris Behncke , Gio Giusa . OVSICORI-UNA reported that since 8 February almost continuous emissions of gas has been recorded at Poás, with plumes rising as high as 1 km and drifting mainly SW. During 13-14 February the emissions contained ash; gas-and-ash plumes drifted SW, impacting areas downwind including Naranjo, Zarcero, and Grecia (16 km SW). Gas-and-ash emissions rose from the crater on 15 February, and gas emissions were recorded on 18 February. 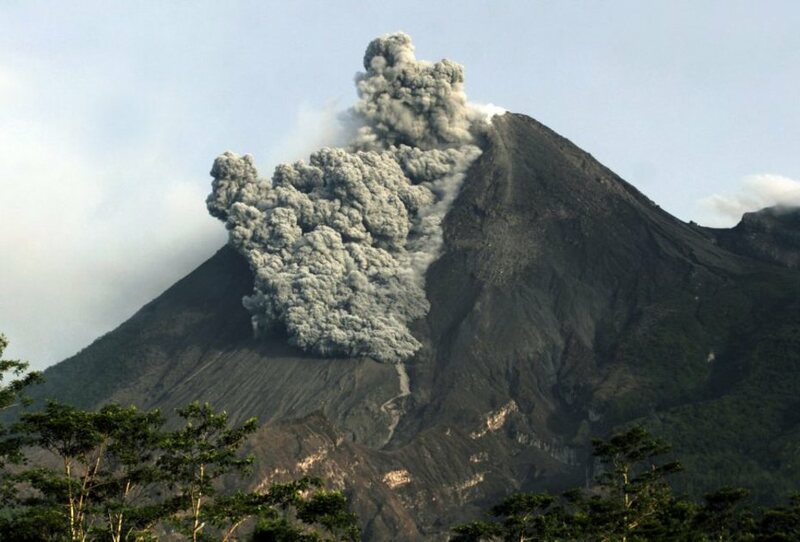 After the intense release of gas and ash last week, the Poás volcano seems to be giving relief to its neighbors and farmers in Grecia and Sarchi, mainly affected by the eruptions. In these areas, grass and crops burned by acid rain and a strong sulfur odor in the environment were detected. In addition, ashes caused discomfort in homes and 27 schools. In some cases, students have taken classes with masks. The situation has forced entities such as the National Emergency Commission (CNE), the Ministry of Agriculture and Livestock and the National Animal Health Service (Senasa) to carry out inspections and take action. The panorama seems to change. 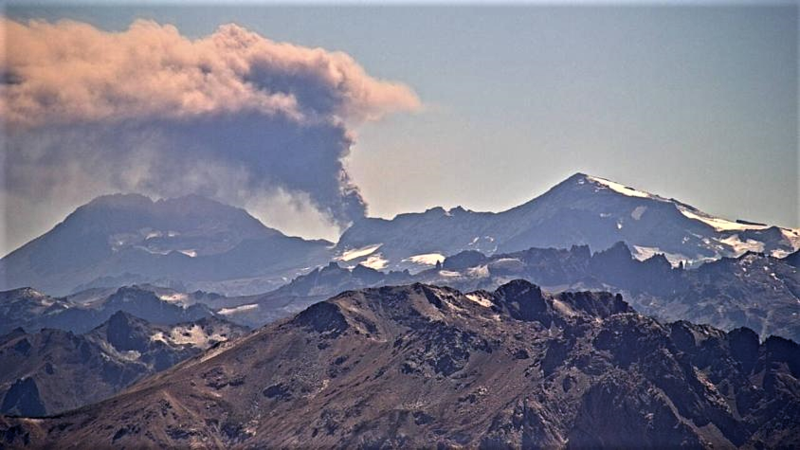 Mauricio Mora, a volcanologist with the National Seismological Network (RSN), assured that there was a reduction in the amount of ash and that the emissions were more sporadic. « The current system seems to be more stable and it provides relief, » he said. Early in the morning of Tuesday, there was an important column, but less loaded with ashes. 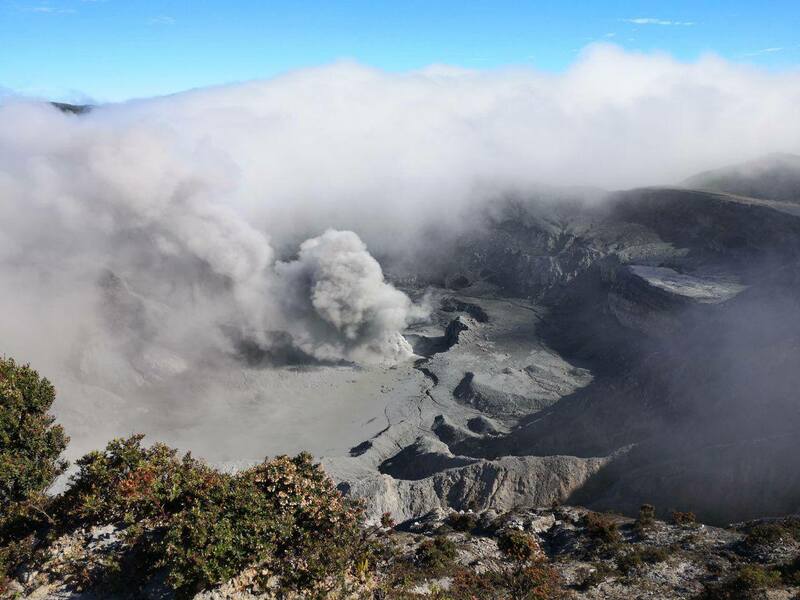 The emissions consist of magmatic gases, aerosols and water vapor, which can rise up to 300 meters above the crater and last several minutes. No incandescence was recorded in the main mouth at the base of the old dome. Source: Observatoire volcanologique et sismologique du Costa Rica – Université nationale (OVSICORI-UNA) , GVP. Nacion.com . Photo : Federico Chavarría Kopper , RSN.